Squamish asbestos removal is tough to find, and with Urban Environmental now covering the area, you can be rest assured that safe removal of asbestos in Squamish is done right. 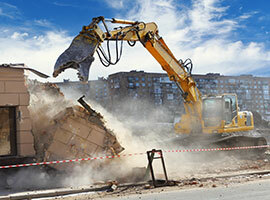 No matter the situation, demolitions or renovations, when asbestos is found the first call you need to make is to Urban Environmental. We are the number one name in Squamish asbestos abatement, and for good reason. Our teams are not only fully certified, but also fully insured for any issues that may arise on the job site. As well, we take pride in providing our clients with the top rated asbestos removal in the city, with the isolation, and removal done by our professionals. Don’t delay when you find asbestos, instead call the experts at Urban Environmental and get back to work sooner, rather than later. Squamish mold removal is an essential service practically in the foothills of the Coast, and now is the time to call Urban Environmental to safely remove mold in Squamish today! Mold continues to be one of leading causes of sickness here in British Columbia, and for good reason, it thrives in the lush climate here. When you start to see mold, your first call should be to Urban Environmental and our team of amazing specialists. They will be able to not only find the mold and eradicate it, but stop it from being able to grow again. If you are looking to get rid of a mold problem in your home or business, call the experts at Urban Environmental and make sure it is done right the first time. Here at Urban Environmental we know that the people know us for our mold and asbestos removal programs, but we are much more than that. With our great services, such as dead body cleanup and bio hazard clean up, we are the first call when there is a mess. Our technicians are fully trained to handle practically any situation that requires professionals, and especially when asbestos or bodily fluids are included. If you are looking for a top rated professional cleanup crew, which will handle the dangerous stuff, your next call needs to be to Urban Environmental. With offices all over the region, we are now servicing Squamish and up the 99. Call today, and secure the top rated cleaners in all of the Lower Mainland.